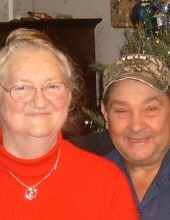 Bobby Gene Henson, age 73 of Beaver, Kentucky, passed away on Wednesday, February 6, 2019 at Pikeville Medical Center, Pikeville, Kentucky. He was born December 11, 1945 in Floyd County, Kentucky to the late Thelma Newsome Adams. He was the husband of the late Lacy Bryant Henson. He was a retired coal miner. He is survived by his Sons: Billy Joe (Vanessa) Hamilton of Beaver, Kentucky, Hiram Jr. (Lisa) Hamilton of Beaver, Kentucky & Bobby Gene (Jennifer) Henson II of Corbin, Kentucky; Daughters: Patricia Ann (Mike) Justice of Virgie, Kentucky, Glenna Jean Henson of Beaver, Kentucky & Shirley Lynn (the late Sie) Hall of Craynor, Kentucky; Grandchildren: Wesley, Beverly, Chris, Jacob, Josh, Maddie, Mikie, Adam & Michael; 12 Great Grandchildren; Brothers: Bill (the late Maxine) Adams, John (Linda) Adams, Tivis (Pauline) Adam, Donald Adams & Michael (Christy) Adams; Sisters: Anna Lou (the late Willie), Anna Sue (Jerry) Hall, Joyce Caudill (Brian); A Host of Nieces, Nephews, Family & Friends. Along with his parents and wife he was preceded in death by his Brother: Jimmy Adams; Sister: Annie Tackett. He will be missed by all that knew and loved him. "Email Address" would like to share the life celebration of Bobby Gene Henson. Click on the "link" to go to share a favorite memory or leave a condolence message for the family.